Here in Australia our Summer School Holidays are ending. Today, the 26th of January, is our National Day, Australia Day. We celebrate the day that the First Fleet arrived from Britain, landed at Sydney Cove and raised the Union Jack flag. We have our own flag now and each Australia Day it is proudly waved and flown by more and more Australians as we celebrate our good fortune to be a part of this great nation. The photos above were taken on my recent visit to the Southern New South Wales areas of Womboota and Moama. I have posted this selection because they represent our history and some of the character traits for which Australians are famous. 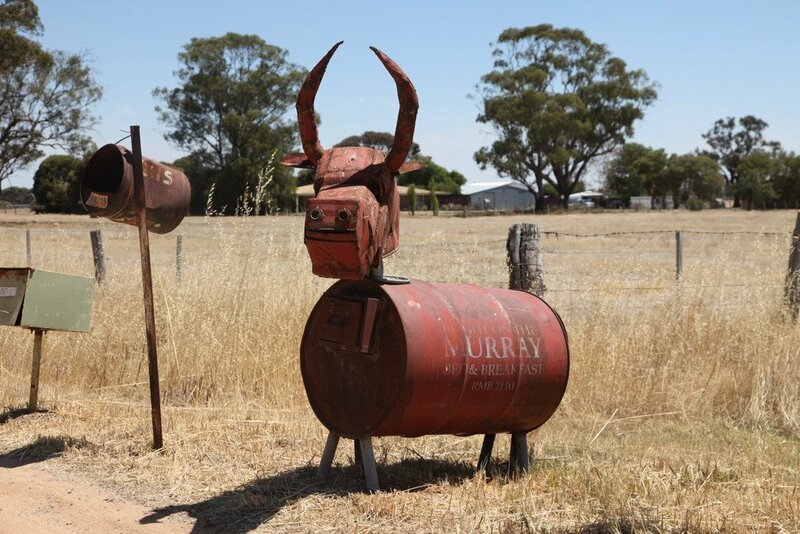 The red metal cow shaped sculpture is a mail box. The RMB on its side stands for Rural Mail Box. It represents humour and ingenuity. Recycling too. 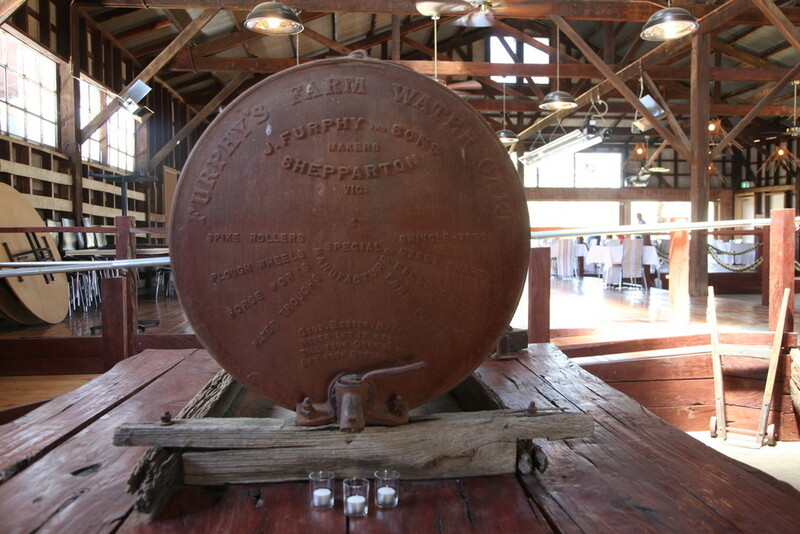 The tank with the message on the end was made by a company called Furphy. 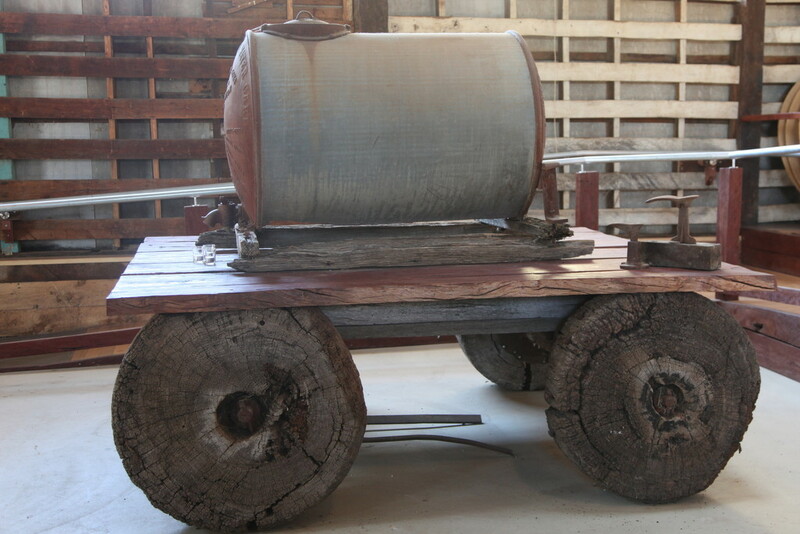 The tanks were found throughout country areas and were portable for watering stock and fighting fires. The famous motto reads Good, Better, Best, Never Let it Rest, Till your Good is Better, And your Better Best. 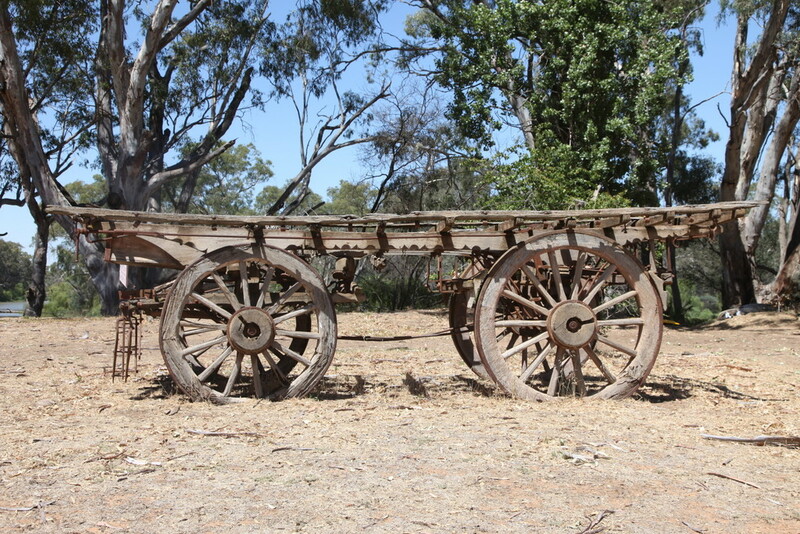 The old dray would have been used to carry bales of wool or crates of fruit to the Port or Railway Station. It would have been pulled by a team of strong horses or sturdy bullocks. 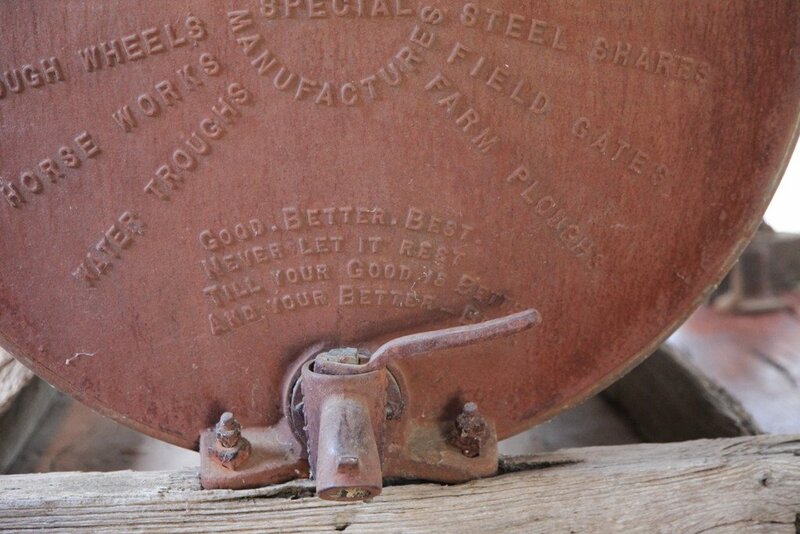 The old Ferguson tractor lies behind a local Pottery as a symbol of the hard work put in to the local farming area. 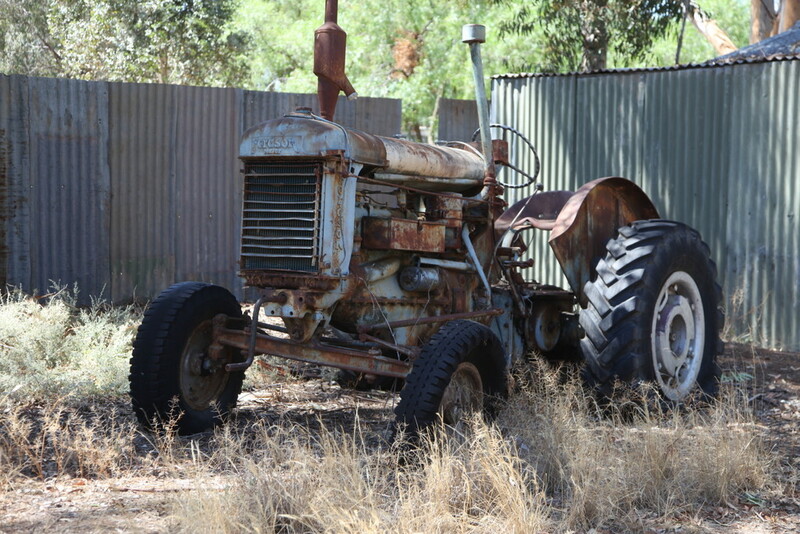 Smaller tractors were used between the vines, for digging postholes and for general farm work. They were known for their toughness and reliability. 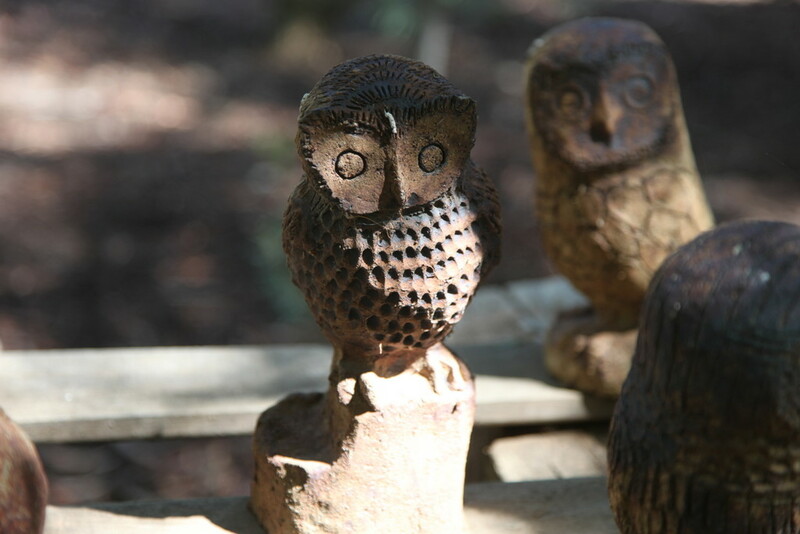 The pottery owls are displayed in the rustic grounds of the Old School Winery and Meadery at the little town of Womboota. To me they symbolize the “wait patiently” attitude necessary when living on the land. 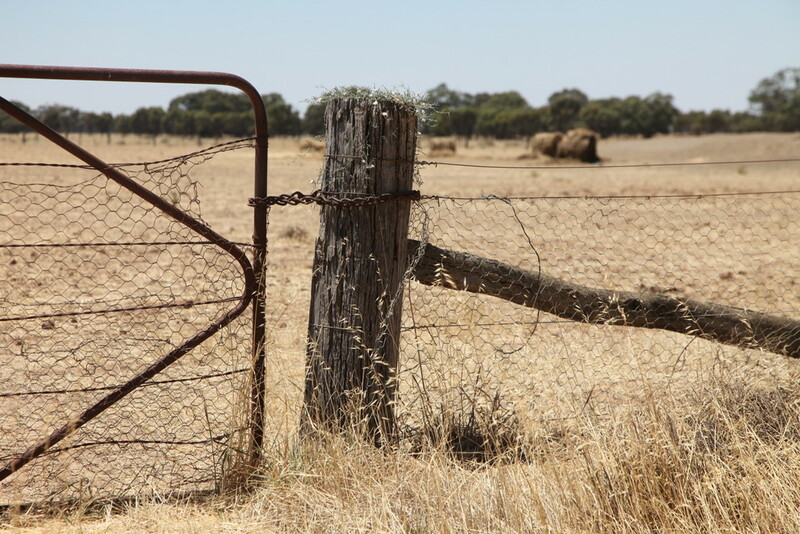 The gate post with the plant growing out of its top caught my eye and symbolizes ” taking an opportunity”. Dust gathered in a hollow topped post and a windblown seed wet by not so frequent rain set out growing. 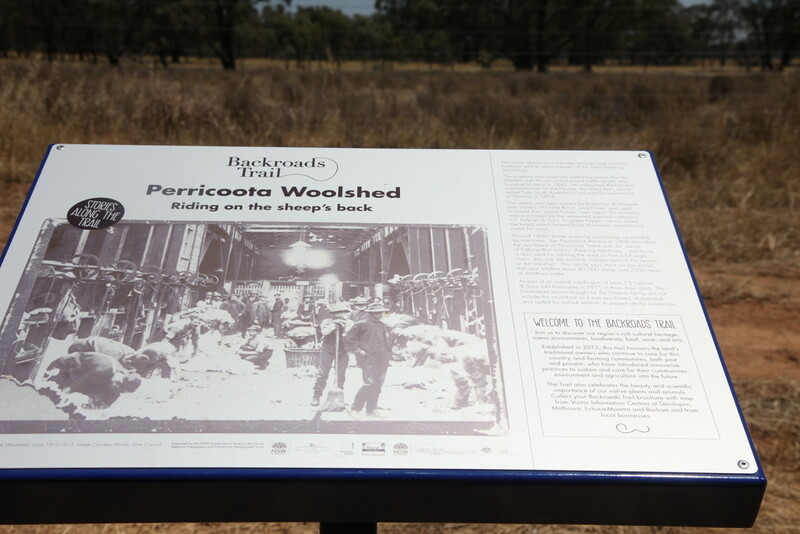 The Perricoota Woolshed sign (part of the newly established Backroads Trail) tells travelers of the area’s history. Quiet sheds once buzzed with many shearers shearing thousands of sheep. These people worked hard and are part of our history and national character. We wish a Happy Australia Day to one and all. ← Merry Christmas, Happy Holidays. I am doing an album cover for an Australian Bush Band called the Rabbit Trappers from Inverell NSW. I would like to talk with you about using your Bullock Dray photo for the cover.